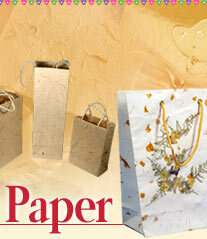 Read about the status of the handmade paper industry in India today. The handmade paper industry in India dates way back to the 14th century. They flourished under the Indian monarchs, but suffered during the British rule. During the freedom struggle, handmade paper industry was given support by Mahatma Gandhi and after independence the industry has been promoted and supported by the Government. 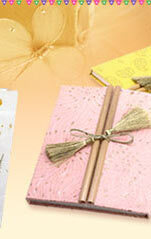 At present, there are more than 157 functional handmade paper-producing units all over India. Together they produce handmade paper worth around Rs.21 crores. This industry provides employment to about 10,000 people and most of them are situated in the rural areas. Handmade paper production requires low capital investments. Thus it is easy for small and local entrepreneurs to establish this industry in rural areas. This industry helps in generating employment at the local level. It is environment friendly and just not result in the depletion of natural resources and cause much less pollution that factories making conventional paper. Handmade paper industry helps create sustainable livelihoods in rural areas. It employs unskilled workers, who are trained in these plants. Thus, this enables the local population, especially women to get employment in these production units. The industry has become so diversified and specialized today that the produced numerous types of handmade paper including watermark, filter paper and drawing sheets. And the difference in cost between conventional paper and handmade paper is marginal. 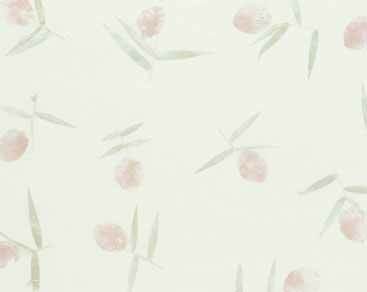 Handmade paper in India in made by recycling waste agro raw materials like cotton rags from hosiery cuttings and small amounts of waste paper. Agro fibers like jute, straw, banana are added to the primary fiber to create mottled handmade paper. Handmade paper has greater tensile, bursting, tearing and double fold strength when compared with conventional mill-made paper. It does not turn become brittle as it ages. Besides, handmade paper is attractive and exclusive. 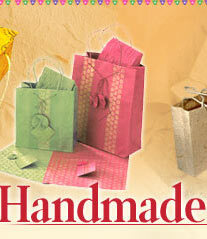 Today there are a number of gift items and craft items made from handmade paper. Today the Indian handmade paper industry, exports about Rs.400 crores worth of products to the developed countries annually.